In 2 Timothy 1 Paul has told Timothy to model his life and ministry after Paul, recalling the examples of both his family (Lois and Eunice) and Paul’s co-worker Onesiphorus. He ought to avoid the example of the false teachers in Ephesus, namely Phygelus and Hermogenes (1:15) and Hymenaeus and Philetus (2:17). “Do your best” (ESV) in v. 15 has the sense of being diligent in fulfilling an obligation (σπουδάζω), “make every effort” (BDAG). The KJV translated this word “study,” a word which has shifted considerably in modern English. The verb is used in Gal 2:10, for example, for the reminder to care for the poor. In Eph 4:3 Paul says that the believer ought to “be eager” to maintain the bond of unity. It is used twice in 2 Peter with the sense of diligence in spiritual development (1:10, 3:14). This word stands in contrast to being “diligent” in senseless theological babble. While the opponent in Ephesus is busy with their “endless myths,” Timothy is to be busy presenting himself as God’s approved workmen. Timothy is to be an approved workmen, properly handling the word of God. 2 Tim 2:15 is classic verse for modern “noble Bereans” since it implies that the maturing person of God will become increasingly able to read the scriptures with intelligence and confidence. We sometimes talk about “learning a trade.” The more one works at being a carpenter, for example, the better one gets. The analogy is excellent since studying the Bible is a skill and an art. There are technical elements which can be taught and learned (parsing Greek verbs, reading background studies, finding parallel texts, etc. ), but there is an art to knowing what to do with that information! An unskilled carpenter can build a bookshelf with boards and a few nails, but a master carpenter builds an excellent piece of furniture that is of great value. The modern church has created a class of professional Bible interpreters. This gives the impression that the Bible is too difficult to fully understand without professional training. People in churches want to leave Bible reading to the professionals, the approved workmen. But this is not at all Paul’s point here. 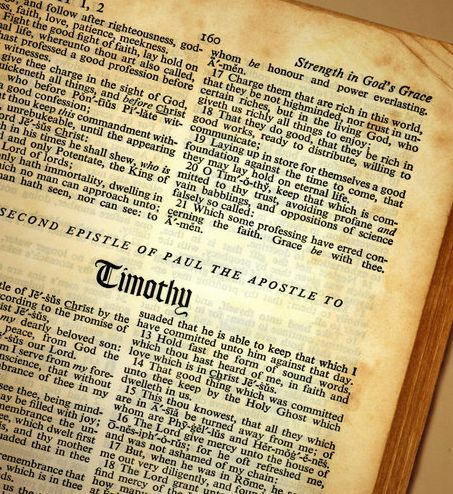 Timothy (and by analogy all believers) ought to be busy training themselves as best they can to handle the Bible correctly so that they will avoid the errors that are plaguing the churches in Ephesus. Paul was “appointed a preacher and apostle and teacher” of the Gospel (1:11). This description of Paul’s ministry is similar to 1 Tim 2:7. The “preacher” in the ESV is better a “herald,” or “proclaimer.” This is a person who is appointed to deliver a particular message, in Paul’s case, from God. The language is a little different in 1 Tim 1:18, 6:20 and 2 Tim 2:2. In these later books, Timothy is encouraged to guard or protect the deposit given to him. Like the old “town crier,” Timothy is to take this deposit of tradition and accurately proclaim it to his community. Paul mentions things passed down to him in his other letters. Two traditional elements were handed down to him from the apostles: 1 Cor 11:2 (the Lord’s table) and 1 Cor 15:1 (witnesses to the resurrection). In 2 Thess 2:15 Paul encourages the congregation to “stand firm” in the traditions which Paul delivered to them. Even in his earliest letter, Paul considers his gospel a tradition which cannot be modified (Gal 1:14). It is likely that Paul alludes to the words of Jesus in 1 Thess 5, words that are eventually collected in Matthew’s Olivet Discourse. For some of Paul’s teaching, he may have been led by the Holy Spirit to interpret biblical texts differently, or to combine texts from the Hebrew Bible in unique ways which supported the idea that Jesus is the Messiah or that salvation is apart from works. 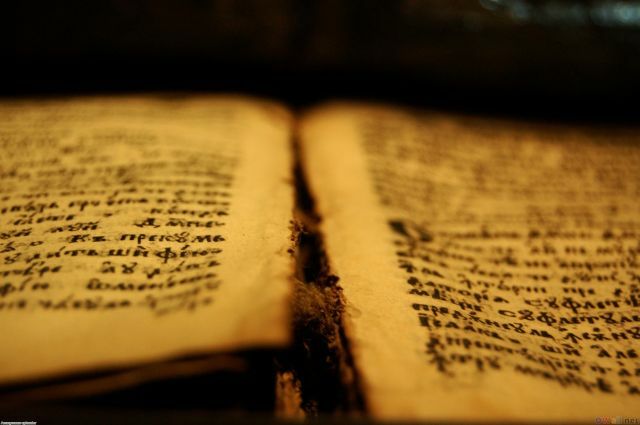 Romans 4 indicates that the story of Abraham could be interpreted in a way that supported Paul’s gospel – this is exegesis guided by the Spirit of God. Much of the argument of Galatians is based on applications from stories in Genesis. Paul was trained as a scholar and interpreted Scripture in his sermons and letters in a way consistent with other Jewish teachers of his day. This “interpretation of scripture” is part of the tradition Timothy is to guard and pass along. In some cases the tradition is handed down from the apostles through Paul, to Timothy and then to the qualified elders in Ephesus. In other cases Paul is the source. But in either case Paul commands Timothy to guard this tradition carefully and to pass it to the next generation of believers. The problem Paul addresses in the letter of Titus is the potential for teachers to arise from within the church who teach bad doctrine and are not living an exemplary life. In order stave off the sorts of which Timothy has in Ephesus, Titus is told to appoint men to the office of elder who are qualified for the position doctrinally, but also men who are of good reputation and will not bring shame to the churches on Crete. Is this the right way to think about ethical and moral living? We should behave properly because the world watches us and is either drawn towards Christ because of our consistency, or they are driven away because of hypocrisy. One of the biggest factors in the anti-church “Spiritual” movement among younger Christians is dissatisfaction with the structure of church since it seems to harbor hypocrisy. It is not hard to find examples of hypocrisy in every church and denomination, nor is it hard to find people who have rejected Christianity as a whole because of the actions of public Christians. There is a great deal which is applicable to the church today since modern churches have the same sort of reputation problems as the churches in Crete. The members of the church are urged to live exemplary lives in terms of both the Greco- Roman world and the Jewish / Christian world. The elder qualification list in 1:5-9 begins with “above reproach” – someone who is blameless. Various social groups are addressed in chapter 2 with the same interest in what outsiders think of the members of the church. What runs through all five of these sets of commands is the idea of being “sensible.” There is a derivative of the Greek –sophron– for each of the first four categories of believers. This word has the idea of common sense, which is a cornerstone of Greek virtue. “The Hellenic model is avoidance of extremes and careful consideration for responsible action” (BDAG, citing Aristotle, EN 3.15). Common sense was “a characteristic of persons distinguished for public service,” and is used in 1 Tim 3:2 as one of the qualifications of an elder. For a woman, the word could take on the idea of chastity or modesty, also characteristics which were important to the Greek world. In fact, these words occasionally on women’s graves, praising them for their high moral character (BDAG). In every case, this section highlights the sorts of things which would appeal to the Greco-Roman world. The moral life of the Christian in Titus 2 ought to be attractive to the outsider, drawing them to Christ not repelling them with hypocrisy. I think this might cause raise some questions, since most people think that the Greco-Roman world was rather sinful and immoral, but that is just the point. Greek and Roman writers often decried the decline of moral values, Christianity called people to reject the “passions of the world” and embrace a new kind of life. In Titus 3:3-11, we find the reason for our living for the sake of the Gospel. Paul develops a contrast between what the believer was (before Christ) and what the believer is now (in Christ). The person who is “in Christ” has become new, they have been made alive though the washing of the Holy Spirit, and they are in fact now a child of God. Paul’s call to devote ourselves to doing good (verse eight) is simply the natural response to this change from foolish suppression of the truth to our adoption as heirs of God. Because of these descriptions, scholars have tried to explain these false teachers in several ways: Some have connected the false teachers with either the followers of Marcion (explaining why Marcion would not have accepted the books as authentically Pauline) or a proto-form of Montanism (since the pastorals do not mention the Holy Spirit very much, Montanism was a charismatic revival of the middle/late second century). Other scholars have suggested that the description of the false teachers is “generic” that there is no specific threat to the churches overseen by Timothy and Titus, but this is the sort of generic anti-heretic language that could be applied to any number of churches. Regardless of the source of false teachers in Ephesus and Crete, Paul provides a three-step method for dealing with these troublemakers. The steps seem reasonably clear, but it is hard to know how to use them in a contemporary context. Paul is not describing a medieval excommunication or some sort of strange shunning-ritual. He wants his churches to be unified around a core yet also to preserve some diversity within the members of the church. How does this work? The first step is to avoid the things which create quarrels and dissensions. This cannot include the core elements of the faith, but what things might be considered “divisive” our context? Paul is talking about drawing lines which include / exclude – how does this “work” in a modern church context? Last, if the person continues to stir up dissension, then the church is to shun the person as a false teacher. This is very controversial since ostracizing someone from a group is a very “un-American.” Paul seems very prejudiced and arrogant to force someone who believes differently out of the church! Most likely these steps will look different in different cultures (African churches vs. American churches, for example). How do we use this material to preserve the unity and promote diversity within a local church? This long sentence might be a summary of what Paul means by “sound doctrine” in Titus 2:1. Gordon Fee called these lines “semi creedal” (1-2 Timothy, Titus, 200) and nearly all agree that this section was used in some form of liturgy. Paul concludes by declaring this a “trustworthy saying” indicating verses 4-7 that this formulation was well-known to the church. Since virtually every word can be traced to earlier Pauline writings, it is possible that Paul himself is the source, or someone created the song out of the theology of Paul’s letters. In either case, these few verses are a clear statement of Paul’s understanding of our salvation. God has acted on our behalf and saved us out of our foolishness (verse 4-5a). The appearance of the kindness of love of God refers to Jesus. The work of Jesus on the cross is God’s decisive act in history to solve the problem of sin. Kindness and love are unusual ways to describe God’s motivation for sending Jesus into the world, but the words may reflect the Hebrew idea of hesed, God’s loyalty to his promises and covenant. Because God is a faithful covenant partner, he acted in Jesus to enable those who are in Christ to keep the covenant in perfection. Because of Jesus, we can be saved. The word “saved” is in fact a metaphor which we miss since we use the term so frequently. We were not just in danger, we were lost and in need to rescue. In the Psalms David occasionally describes his personal salvation with being pulled out of a flood or a muddy pit, rescued from certain death and set in a level, firm place. This salvation is not because of “works of righteousness,” rather it is based on the mercy of God. The idea of “works of righteousness” ought to be understood in the light of the false teachers who likely insisted on things like circumcision or keeping elements of the law. Rather than a covenant which promises blessings for obedience, this salvation is based entirely on the mercy of God. This salvation is a rebirth and renewal through the Holy Spirit (verse 5b-6). Paul uses a metaphor in this verse to describe the role of the Holy Spirit in our new birth. “Washing” (λουτρόν) and the cognate verb (λούω) frequently refers to ceremonial washing which cleanses one from impurity. The words are used in the context of preparing for worship or entering into the sanctuary. For example, the verb is used more than a dozen times in Lev 15 in the context of physical impurity. In Lev 8:6 Aaron and his sons are ceremonially washed as they are installed as priests. In Lev 16 the verb is used to describe the washing of the high priest prior to entering the Holy of Holies. Paul therefore has in mind the rebirth or recreation of the person who is dead in their sins; they are “made alive” in Christ through the Holy Spirit. This is a hint of eschatology here as well, since the dawning of the new age is described with this same term (παλιγγενεσία). This is the same regenerating work of the Spirit found in 1 Cor 6:1 and Eph 5:26. The result of our rebirth is our membership in God’s family (verse 7). Verse seven begins with a purpose clause and an aorist passive participle. Our membership in God’s family is predicated on our having been made righteous, or justified, by God’s grace. While he does not make the point here, justification by grace is always “not of works, lest anyone should boast.” The verb is passive, we do not justify ourselves nor can we create our own righteousness, we are dependent wholly on God’s grace and mercy. Since we have been justified, we are “heirs” in God’s family. This is an allusion to the theme of adoption from Paul’s earlier letters (Romans 8, for example). “Be what you are, a child of God.” This status in God’s family is a guarantee of our future hope. We know that our inheritance is held by God and that our eternal life is secure in him. Therefore be devoted to doing good (8b). To be “devoted” to something (φροντίζω) means to think about it, constantly pursue it, perhaps even to worry about it. This is more than simply “keep it in mind.” (I find that when someone says “I’ll keep that in mind” they usually mean, “I am going to ignore what you just said and do what I was going to do anyway.”) The word may be translated “pay attention to” doing good works. It is remarkable that Paul can say in one line that we are not saved by works, salvation is totally an act of God’s grace, yet in the next line say that we need to do good works. But the order of the lines is critically important! To reverse them is to destroy the foundation of “sound doctrine” described in these verses. 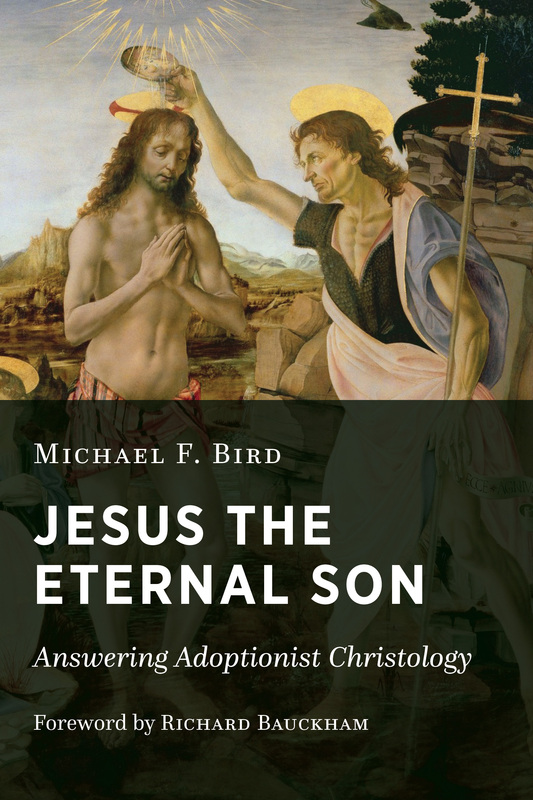 This new monograph from Michael Bird is the result of a discussion held at the Greer-Heard Point-Counterpoint forum at New Orleans Baptist Theological Seminary in 2016 entitled “How Did Jesus Become God?” featuring Bird and Barth Ehrman. The seminar discussed Ehrman’s How Jesus Became God (Harper One, 2015) and Bird’s recently edited collection of essays entitled How God Became Jesus (Zondervan, 2015). Larry W. Hurtado, Jennifer Wright Knust, Simon Gathercole and Dale Martin also participated in this conference. As Bird explains in the Preface, in his preparation for this conference he became aware much of what is said about adoptionist Christology is incorrect. It is simply assumed the most primitive Christology was adoptionist and scholars tended to reference John Knox or James Dunn rather than examine the evidence. This book calls that quasi consensus into question (9). Bird argues in this book that although there was Christological diversity in the early church, adoptionism was a second-century phenomenon. As Bird says, it is not correct to speak of a single, monolithic Christology of the early church, but it is equally problematic to speak of a wide variety of competing Christologies proportionally distributed across the early church (5). After a short chapter describing what he means by both Christology and adoptionism, Bird examines two passages most often used as evidence for adoptionism (chapter 2). First, Romans 1:3-4 is one of the earliest statements often taken as evidence for adoptionist Christology, especially if these verses are a pre-Pauline creedal formula. Ehrman claims these verses say Jesus was (according to the flesh) the Davidic Messiah, then he was declared to be the exalted Son of God (14). Bird points out both titles “Son of David” and “Son of God” were messianic titles in Second Temple Jewish literature. There is no evidence the phrase “Son of God” was ever used in Jewish literature for a human who lived a meritorious life and was given divinity after a bodily resurrection (20). For Bird, Romans 1:34 claims the resurrection is the transition from Jesus’s messianic and earthy mode to a display of his divine sonship and heavenly position (23). Second, Acts 2:36 (along with 5:31 and 13:33) claim that “God made Jesus both Lord and Messiah.” Since speeches in Luke-Acts reflect Luke’s theological agenda, it is at least possible these speeches by Peter and Paul intend to present the exaltation of Jesus as the divinization of Jesus. Bird counters this by showing Luke’s theology assumes Jesus was the messiah and Lord from the beginning (Luke 2:11). Bird cites Kavin Rowe to defend the change in Acts 2:36 is not ontological but epistemological. For both Romans 1:3-4 and Acts 2:36 there is no beginning to divine sonship implied because divine sonship is presupposed as a part of his messianic identity (29). Bird devotes two chapters to the Christology of the Gospel of Mark. As the earliest Gospel, it is often assumed the book has an underdeveloped Christology and the baptism is clearly adoptionist: Jesus goes into the water a human, and comes out the Son of God (34). Barth Ehrman considers this as an innovation in Mark’s gospel; Jesus is adopted at the baptism rather than the resurrection. Mark’s gospel is also considered by some to have been influenced by Greco-Roman culture so that the baptism is deification similar to deified Hellenistic heroes or emperors. Bird surveys how the Greco-Roman world presented these defied figures and concludes ascriptions of divinity “were not primarily about essence but honor, status and power” (41). These people were deified because they had provided some benefit to the people and were worshiped because they were perceived as continuing to be a benefit. In the Hellenistic world the idea a human could become a god was doubted, even if there was some cultural benefit from perpetuating the imperial cult. Both Jews and Christians rejected the idea of human deification, although Judaism developed used angels or exalted humans as intermediaries between God and man. But these angelic creatures are never exalted quite to the same level as Yahweh nor were they recipients of cultic worship (59). With respect to parallels between Mark’s Jesus and the divine men in the Hellenistic world, Bird suggests everyone read Sandmel’s article on parallelomania (JBL 81 (1962). Certainly Mark needs to be read within the context of both Greco-Roman and Jewish worlds, but parallel texts “create endless possibilities” and need to be used with clear criterion in order to avoid seeing things which just are not there (108). Turning to the details of Mark’s Gospel, Bird interacts at length with Michael Peppard, The Son of God in the Roman World (Oxford, 2011). Peppard argued the term “son of god” in the imperial cult was a major influence on early presentations of Jesus (67). For Bird, Peppard does not take seriously Mark’s key images for Jesus are drawn from the Hebrew Bible, especially in the story of Jesus’s baptism, the key adoption text in Mark. Psalm 2, Genesis 22 and Isaiah 42:1 provide Mark with his material: the Davidic king, the submissive son and the Isaianic servant. In addition, Mark’s use of Lord for Jesus connects Jesus to the Shema. It is Jesus who is the Lord, and it is the Lord Jesus who is initiating a new exodus (91). 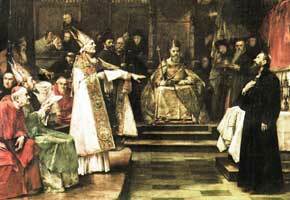 Bird deals more briefly with three other issues in the Gospel of Mark. First, in Mark 2 Jesus claims to forgive sin. This is not the function of a priest in Judaism, only God has the prerogative to pronounce sins forgiven. Second, calming the storm (Mark 4:25-41) and walking in the water (Mark 6:45-52) are “theophanic episodes” which reveal Jesus as the God who controls the chaos of the seas (94). Third, in Mark 14:61-62 Jesus claims to be the son of Man from Daniel 7:13 who is invited by God himself to sit on his right hand (Ps 110:1). This blending of texts strongly suggests Jesus is the co-enthroned one who will be Lord of all creation (101). Since the first four chapters of this book argue there are no adoptionist texts in the New Testament, Bird devotes his fifth chapter to explaining how adoptionism developed in the second century. Even here he questions adoptionism in Shepherd of Hermes (which he calls complicated and even incoherent, p. 111) and the Ebionites (which he calls a “poor man’s Christology, 112). Bird agrees with Bauckham’s assessment that the Ebionites were Jewish believers who were uncomfortable with some of the Christological claims being made about Jesus, and defaulted to a possession Christology (Jesus was taken over by God at the baptism). Bird thinks the first writer who can be described as an adoptionist is Theodotus of Byzantium (about 190 CE). Even here, Bird hedges since there appears to have been some mixture among his followers. In his brief concluding chapter, Bird makes the point the New Testament is not adoptionist, but rather focuses on the enthronement of the Davidic Messiah to heavenly glory. This conclusion favors a Christology developed out of the Hebrew Bible over one influenced by the Greco-Roman world. Modern adoptionism erodes the atonement since a created being cannot redeem another created being (128) and runs the risk of a merit-based theology (129). Like most contributions to the ongoing discussion of early Christology, this book will probably not convince adoptionists. However, Bird does successfully challenge the assertion the earliest Christology was adoptionist by carefully examining several Pauline texts and the Gospel of Mark and providing a compelling non-adoptionist interpretation of these texts. This small book collects twenty book reviews written by blogger Nick Norelli on the topic of Christology. Norelli has been blogging at Rightly Dividing the Word of Truth since July of 2006. He offers a short introduction to his journey from AOL chatrooms in 1997 to regularly reviewing books on his blog. He credits Chris Tilling’s detailed review of Gordon Fee’s Pauline Christology as encouraging him to focus on seriously reviewing books. Christology in Review includes reviews of the following books no particular order. D. G. Dunn, Did the First Christians Worship Jesus? C. O’Neill, Who Did Jesus Think He Was? The first review is Bauckham’s 2008 work. The oldest reviewed book is Maurice Casey’s From Jewish Prophet to Gentile God was published in 1991 and the latest is Bart Ehrman, How Jesus Became God from 2014. I would have expected the inclusion of the Michael Bird edited response to Ehrman (How God Became Jesus, published almost simultaneously in 2014). Norelli does mention the volume in his review but does not include a review. The reviews are arranged alphabetically by author and vary in terms of length and depth of interaction. For example, his review of McGrath, The Only True God is a seventeen page review article with 34 footnotes. His review of Richard Bauckham’s Jesus and the God of Israel runs about 14 pages. However, his Grindheim’s Christology in the Synoptic Gospels is only two pages. Some of the books reviewed are from the very best in scholarship (Fatehi, The Spirit’s Relation to the Risen Lord in Paul in the WUNT series), others are written to a more popular audience (Ehrman, How Jesus Became God). His review of Bart Ehrman’s How Jesus Became God: The Exaltation of a Jewish Preacher from Galilee is more scathing. Norelli says “if you have read one of Ehrman’s popular books, you’ve pretty much read them all” (p. 55), especially his frequent digs against his former Christian faith. This collection is useful for anyone wanting a quick sample of the dozens of books published on Christology in the last 20 years. Norelli has done a service by collecting these reviews in an inexpensive single volume. He hints in his introduction he might produce a second volume on the Trinity. Maybe you can encourage this blogger by purchasing this inexpensive book. NB: Thanks to Nick Norelli for kindly providing me with a review copy of this book. This did not influence my thoughts regarding the work.